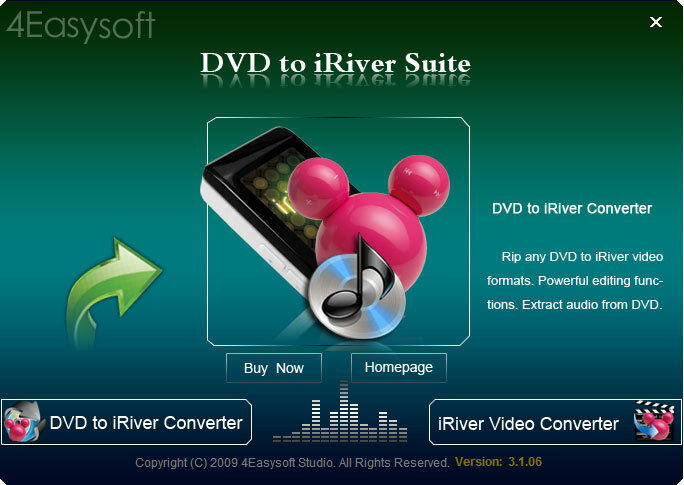 The discounted and comprehensive DVD to iRiver Suite is specially designed for iRiver users, and it includes the function of 4Easysoft DVD to iRiver Converter, 4Easysoft iRiver Video Converter. Therefore, with this iRiver software, you can convert DVD to iRiver compatible video and audio formats, Also put your favourite video or audio on iRiver in great image sound quality. 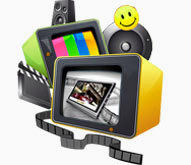 You can edit your DVDs and videos according to your preference, like video trim, video crop, video merge, video effect, video watermark, picture snapshot, and more. The easy to operate DVD to iRiver Suite is easy enough for everyone. With 4Easysoft DVD to iRiver Suite, you can rip DVD to iRiver WMV, iRiver PMP AVI, iRiver MPEG4 (.mp4), H.264/MPEG-4 AVC (.mp4), and convert DVD to iRiver MP3, OGG, WMA, WAV audio. Using this DVD to iRiver Suite, there is an easy and completed way to convert video to iRiver from MPEG, VOB, MP4, M4V, QuickTime , MOV, etc for iRiver. 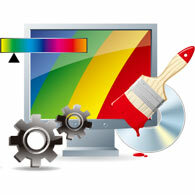 4Easysoft DVD to iRiver Suite can help you output DVD or video to iRiver X20, iRiver B20, iRiver Clix, iRiver DP350, etc. With this DVD to iRiver converter suite tool, you can trim any part from your DVD disk or video files by exactly setting the beginning and ending time or casually drag the slider bar. 4Easysoft DVD to iRiver Suite allows you to add text or picture watermark according to your preference. You can customize your watermark from horizontal position, vertical position and transparency. Choose your wanted audio track and subtitle to customize your video. With the professional kernel technology and user-interface of 4Easysoft DVD to iRiver Suite, you can finish the conversion in the fastest speed associated with highest quality. Add text or picture watermark and customize it at your will	. Generate different format files from one source file with one conversion. 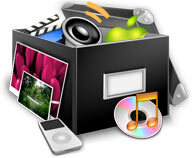 Choose audio track and subtitle to make perfect video.